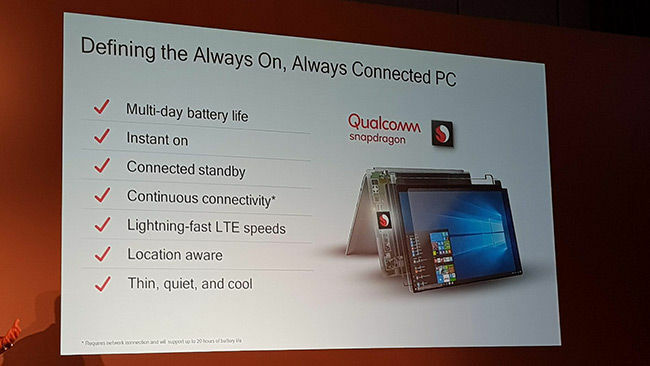 Qualcomm Snapdragon 850 brings a 2.95 GHz Kryo CPU, Adreno 630, powerful AI capabilities and 1.2 Gbps LTE speeds for Always on, Always connected Windows 10 PCs. 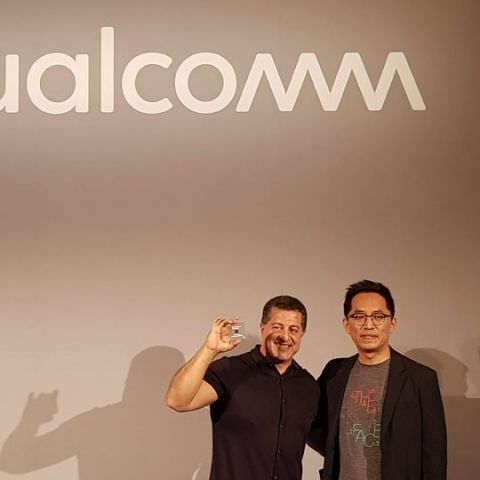 The Snapdragon 850 platform brings together an X20 LTE Modem coupled with Qualcomm Wi-Fi solutions for the connectivity aspect. There’s also the Qualcomm Hexagon 685 Vector processor to aid the Qualcomm Kryo CPU. On the GPU front, the 850 is powered by a Qualcomm Adreno 630 Visual Processing System. Additionally, it also houses the Qualcomm Spectra 280 ISP and Aqstic Audio Technologies. Compared to the 835 which was also put to use in the same form factor, the Snapdragon 850 sports more compute power allowing you to perform more intensive tasks. The key upgrades in the 850 over the Snapdragon 835 come down to the better Kryo 385 CPU which can now go up to 2.95 GHz, faster Gigabit speeds which now have an increased cap of 1.2 Gbps and a more optimised power profile that allows for multi-day battery life just like smartphones. Qualcomm calls the Snapdragon 850 a complete turn-key solution owing to its capabilities. The 850 platform has five key pillars which include the always on and always connected capability, powerful AI compute power, entertainment capabilities and support for Windows 10. As per a survey conducted earlier this year, Qualcomm found that 22% more respondents were willing to pay for Gigabit LTE, a number that now stands at 60% vs 38% last year. In a similar vein, 27% more respondents vs last year are willing to pay for 20+ hours of battery life. The Snapdragon 850 is Qualcomm’s solutions towards meeting those needs. One of the key reasons why Qualcomm calls the Snapdragon 850 ‘a complete solution’ is the fact that the newer X20 LTE modem in the 850 is capable of running on 90% of all Telecom Operators across the world. This way, the solution can easily work with existing infrastructure using minimal upgrades, if any. A platform is only successful if there are multiple OEMs willing to adopt it into their offerings. At the Computex 2018 press conference, Samsung was the first to announce a Snapdragon 850 powered Windows 10 machine that will retail ‘later this year’. ASUS, HP and Lenovo are also reportedly joining in. As the year goes by, expect even more OEMs to jump on the 850 bandwagon. which is better M7 Motion Coprocessor or Qualcomm Snapdragon 801?